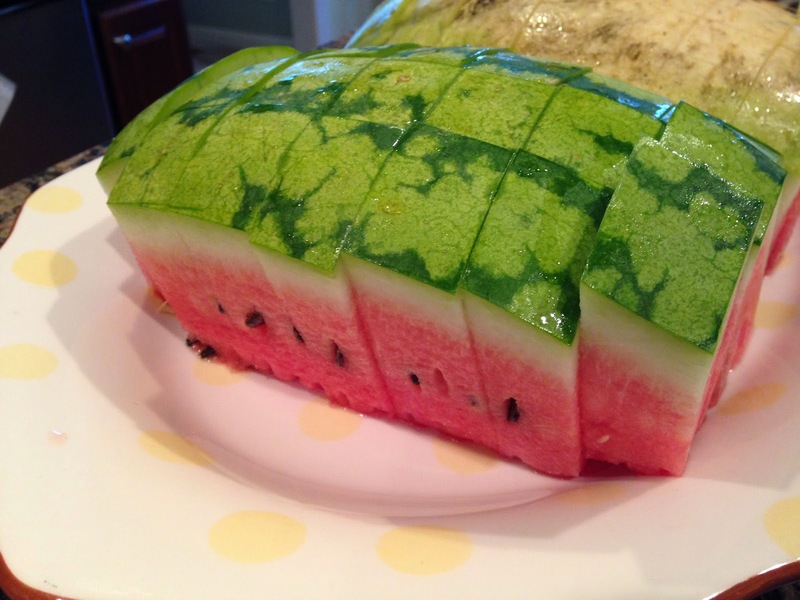 I am having so much fun with the watermelon patch this year. It is completely overgrown the garden and taking over the yard but it's totally worth it. 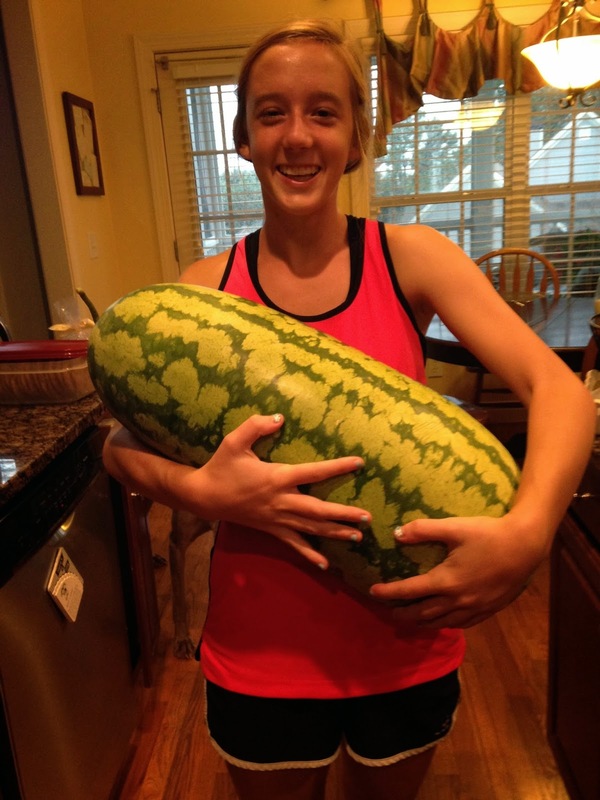 I grew a 38 pound watermelon!!! 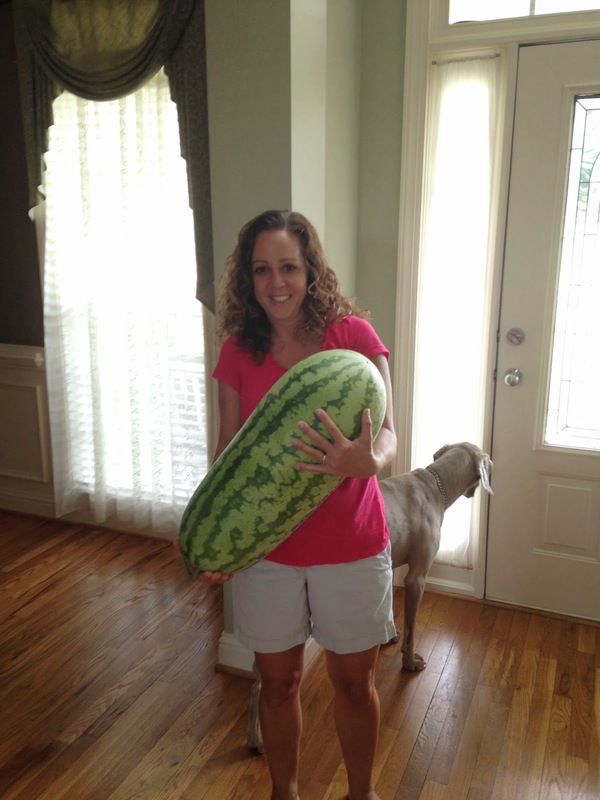 Not sure why that make me feel so accomplished but for some reason, the fact that I have the ability to grow ginormous fruit is strangely satisfying. 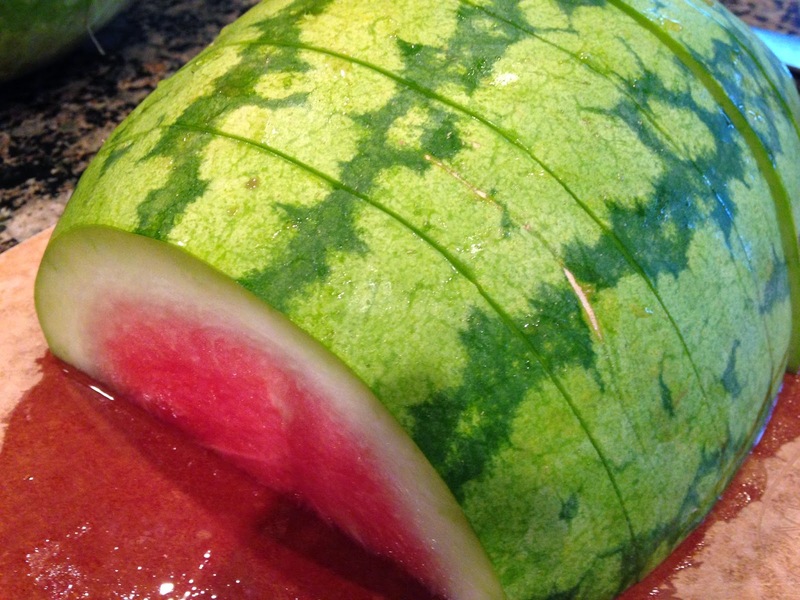 We have eaten quite a few of our watermelons and we've still had plenty to share with friends and neighbors. 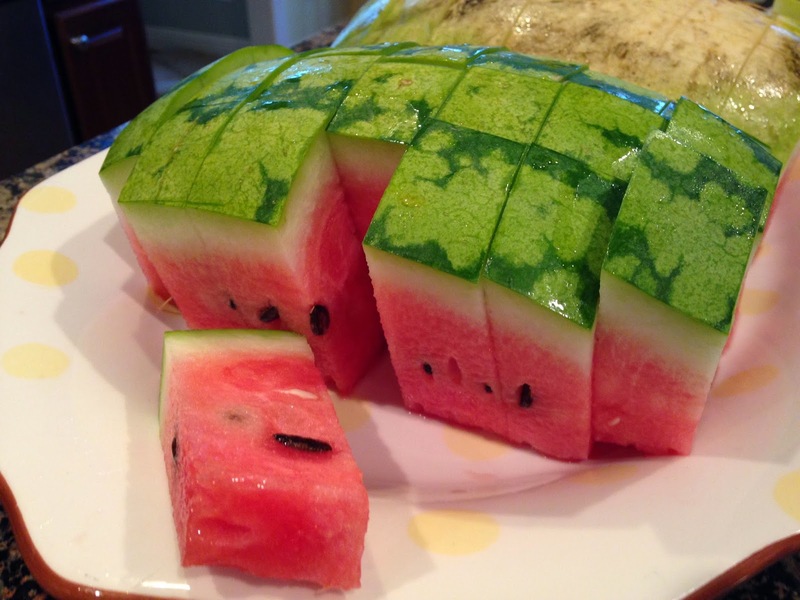 I saw a creative idea for cutting watermelon on Pinterest and normally, I don't like to take the risk of ruining a watermelon by cutting it poorly but since we have an excessive amount of the delicious fruit this summer, I'm willing to sacrifice one in the name of creative experimentation. 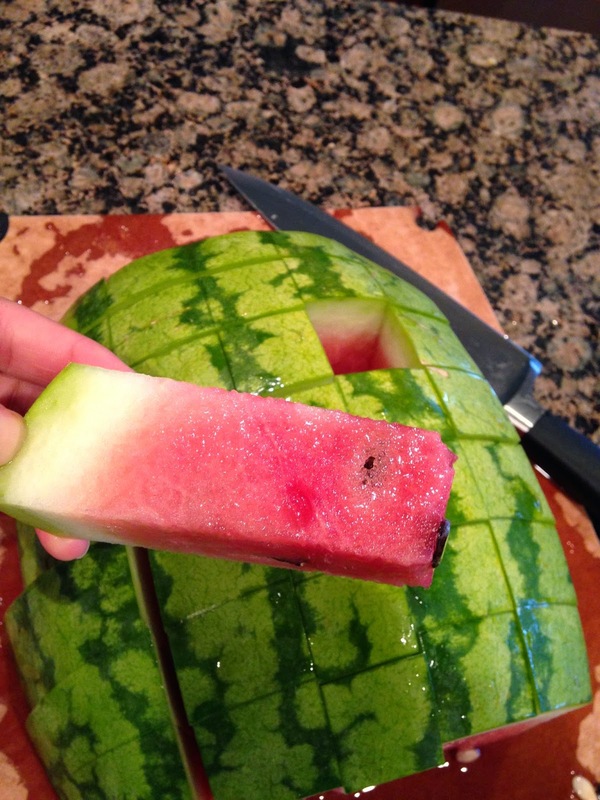 With this cutting method, you end up with the cutest, watermelon-cicles that are way easier to eat than their wedge shaped counterparts. 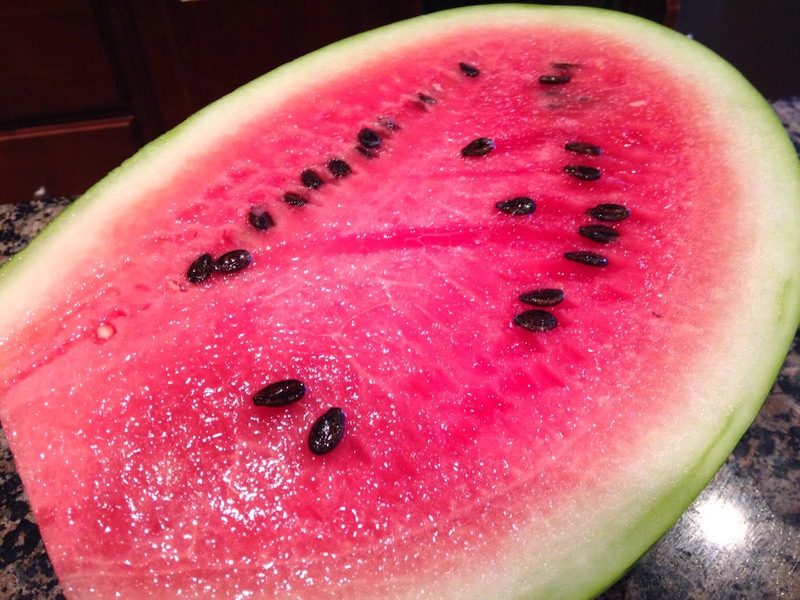 I did have to cut a little bit more of the watermelon off of the sides of the melon than I do when I cut it in a traditional wedge pattern but since I can't seem to get enough of the delicious fruit, I just ate all of the extra. 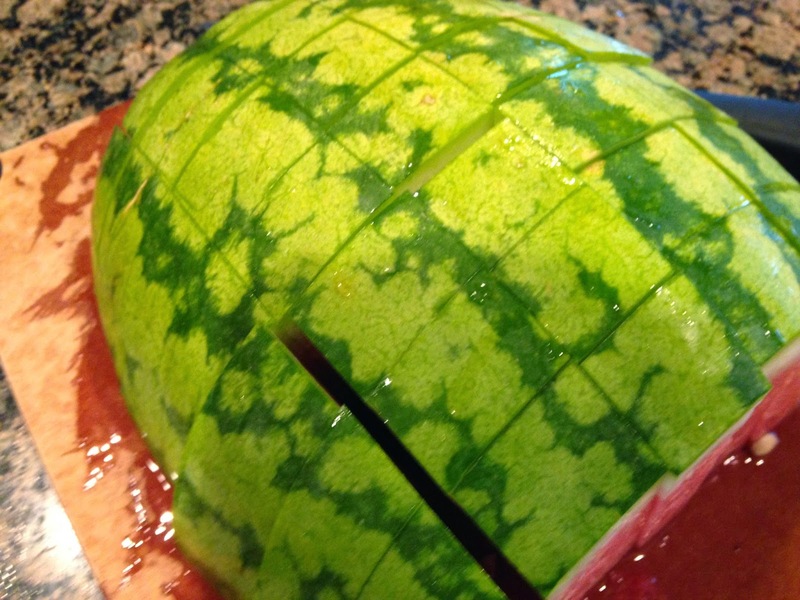 Turn watermelon upside down so cut side is down. 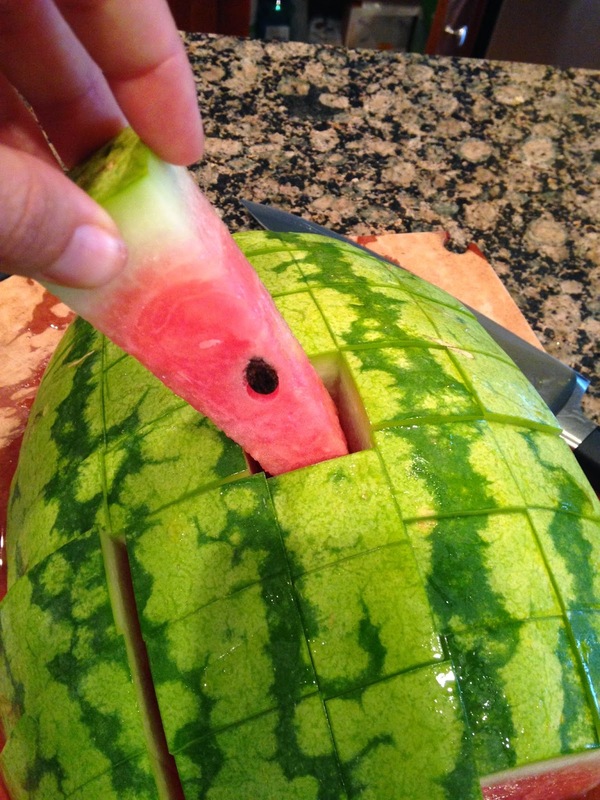 Slice into 1 inch slices. 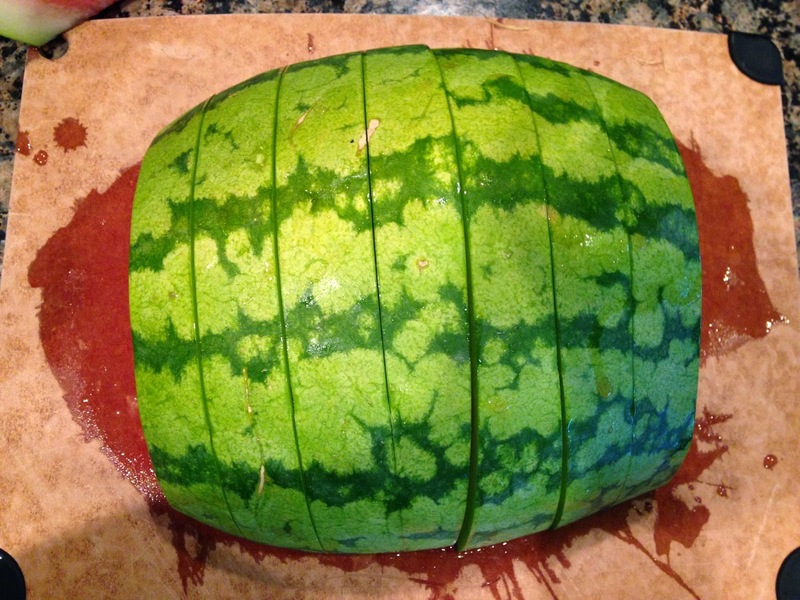 Cut in the opposite direction to make a grid pattern. 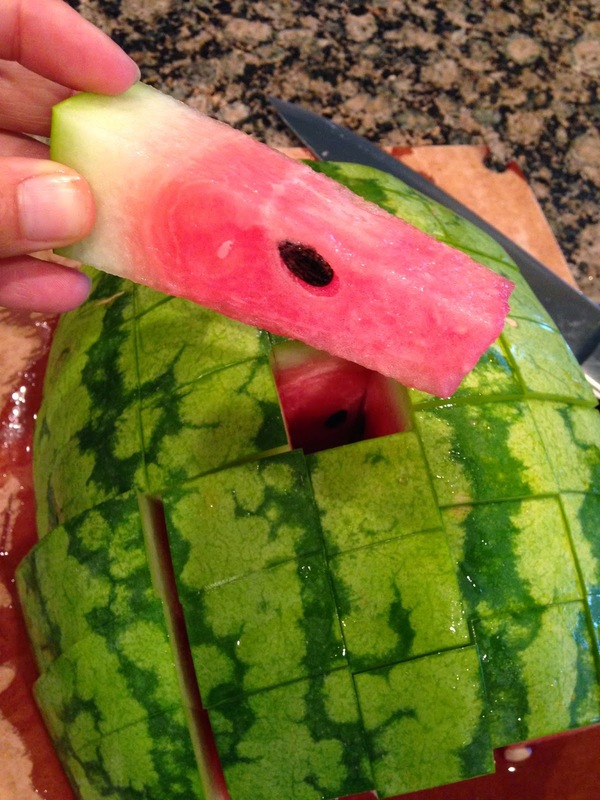 I was not the only one who thought this was a great idea - Courtney asked me to cut all of watermelons like this from now on. 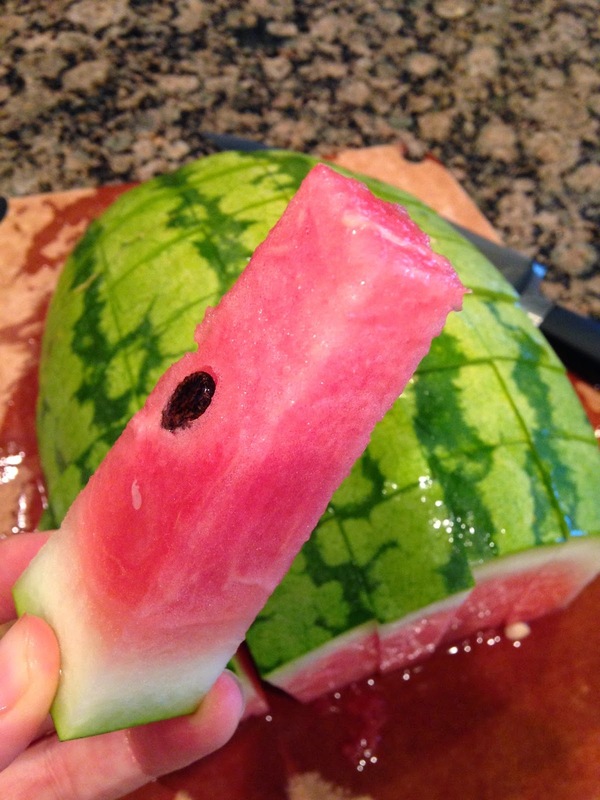 Apparently watermelon-cicles are the way to go.